AXDIA International GmbH was founded with the objective of providing attractive multimedia products for the international market. With partners worldwide, we support the marketing of MP3 players, Media players, DVD players, LCD-TVs and other products in the area of entertainment electronics. The management and employees at AXDIA have many years of experience in product management and sales of electronic products. The name ODYS stands for innovative functions, attractive design and user friendliness. The three digits in the upper right hand corner of the logo represent the tone of music spreading thoughout the room. The excellent cost/performance ratio, the service and the flexibility or our employees are the basis for the success of our company. 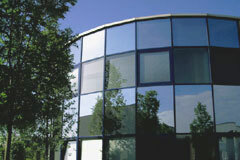 AXDIA's headquarters are located in Willich near Düsseldorf, Germany. The Münchheide commercial zone is characterised by its central location and its accessibility. AXDIA aims to establish itself as one of the major suppliers in the important sales areas of Europe. The philosophy of the company is a heavily customer-orientated attitude. We at Axdia believe that "Quality is no coincidence". If you have any questions relating to our company or products please use the contact form.